Getting ready for the college or pro combines or baseball showcase? 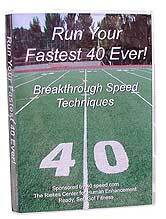 You'll learn Combine and showcase testing secrets of the elite coaches, and Strategic Acceleration Techniques to help you run your fastest 40 ever for performance testing and speed techniques to play faster within just two technique training sessions. 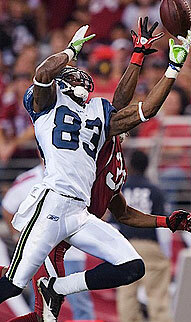 Congratulations to Super Bowl Champion, Seattle Seahawks, Ricardo Lockette for making big plays during two Super Bowls. Ricardo ran the fastest 40 for NFL Receivers during NFL Indy Combines. Speed in college football dominates commentary during the post season. Why? Speed wins. And you have to have it to play the game! ... Speed is a skill set and can be improved! 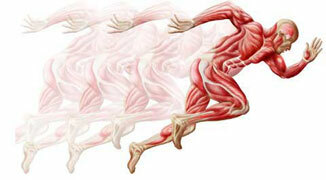 IMPORTANT NOTE: Speed is not just genetics, as once thought. 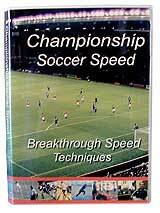 It has been scientifically proven numerous times that everyone can learn how to increase their running and cutting speed, and postion the body mechanically to improve quickness and agility. 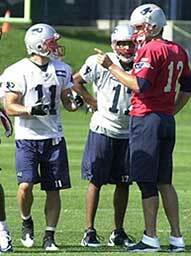 Many superstar athletes use speed coaches to get ahead and stay ahead of the competition. "Please tell Phil that I ran a 4.45 40 at the NIKE combine in Oxford, MS, that was the fastest defensive back time there and 4th fastest overall, and my vertical was a 32.9. I was pretty pumped after the 40. Thanks again for all you taught me. "One key principle of speed technique training is you can't train the body to move faster by training slow. It's simple; muscles adapt. Long, slow running trains the body to run slow and this practices very poor speed technique over--and-over. One more time, slow running teaches your body to be slow! Our technique training methods use overspeed training with perfect technique to re-program the brain, nervous system, and the body to move faster than ever before. Athletes and parents attending the two-session one-on-one training, or small group training at their location will learn perfect speed technique and how to train for speed, fast-fiber strength and flexibility when they return home." - Phil Campbell, Speed Coach & team speed consultant, Fitness book author and creator of the Sprint 8 cardio program now featured in award-winning Matrix Fitness and Vision Fitness cardio equipment. 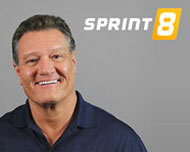 He is a contributing author for 9 Key Elements of Fitness published by Peak Performance, and author of Ready, Set, GO! Synergy Fitness, now in the 2nd edition 9th printing. Lami Sama, World Class Sprinter from Amsterdam, Holland, traveled 24 hours with his personal trainer Hank Frans to learn the latest speed techniques. 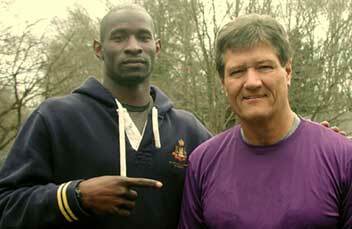 Lami and Hank are speed coaches and teach advanced speed training in Holland. DO YOU want to go where the experts go for the most advanced training methods available? 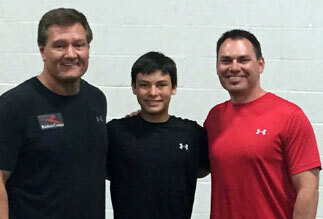 Gary Riekes brought Speed Coach Phil Campbell from Tennessee to the Bay area to offer the best possible technique training for bay area athletes and athletes flying to the Riekes Center from across the US. How experts predict performance of college athletes? Texas - Top rated 4A high school coach Phil Danaher (84% wins making him one of the most successful high school coaches of all time) and sponsor Todd Whetsel prepare Calallan HS in Corpus Christi (preseason ranked # 2) with advanced speed techniques. Illinois - Top Ranked O'Fallon (Illinois) Panthers performing specific speed building drills plyos during an on-site Seed Camp. 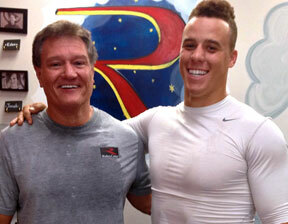 Todd Moeller, Athletic Director arranged for all athletes to receive preseason professional speed training. Speed training open dates are limited. What if -- your team was two steps faster ? How would this impact your season? Baseball Teams - Four tenths faster in the Showcase 60. Basketball teams - Two tenths faster in two sessions. Softball Teams - Example -Two years ago 20 stolen bases. One year ago 24 stolen bases. Results of Speed Technique Training; 108 stolen bases. Question; How important is the movement of the arms in speed training? Arm action in speed is critically important in covering ground fast, stopping and changing direction. 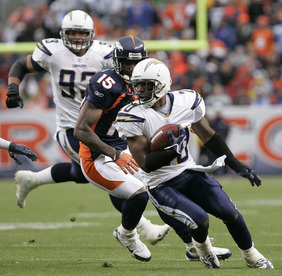 Arm action determines stride length and the goal of speed technique training is to get an athlete to the destination with sold body mechanics and taking the least amount of steps. Increasing stride length by reaching for steps is counterproductive. If the arms are too close to the chest on the upswing and hands travel "pocket-to-chest," athletes will take short choppy strides and this is very slow. This is perfect for cutting and slowing down, but horrible for burst speed. California - Champions - Woodside High School football team (left) learning arm mechanics for speed. Before Coach Steve Nicolopulos brought in Phil Campbell's two-session speed training, Woodside had a 2 -7 record. The next season (after speed training), Woodside achieved a 13 - 0 perfect season and plaques for Coach of the Year and Northern California Championship. Our Guarantee - If you don't run your fastest 40 ever after following our speed development program for 30 days, we'll give you a full refund. It's that simple! The Speeding Ticket athletes love to receive! 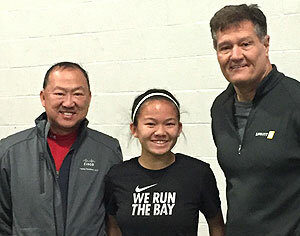 De Anza Force Soccer Club standout, Sonia Chan (with Dad Guy Chan) does two session speed technique training to improve linear, lateral and position-specific speed. Brando Stone, DB, and Dad Shawn Stone travel to San Jose from Toronto Canada for a father son weekend and two days of speed technique training. Leland High School Football WR / RB, Kenny Potera breaks records on the Pat Tillman Memorial Field (including 6 TDs one game) wraps up college career and prepares for the Combines with two days of speed technique training specifically for receivers. 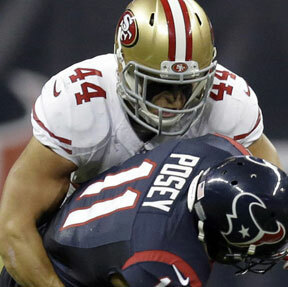 Congratulations to San Francisco 49ers QB Jack Heneghan (speed technique student) for coming into his first NFL game and taking his team down for a TD in 3 plays.On the next series, with maturity and poise, Jack skillfully brought the team 90 yards in 16 plays for another TD. 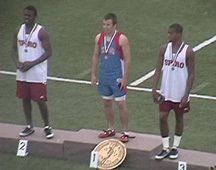 for five weeks and 66 of their 88 athletes experienced a significant improvement in their 40 time of 1.5 to 2.5 tenths. College baseball teams working with Coach Campbell have drop their average 60 Showcase time 4 tenths in only two sessions of speed technique training. Coach Campbell has only worked with two men's college soccer teams. 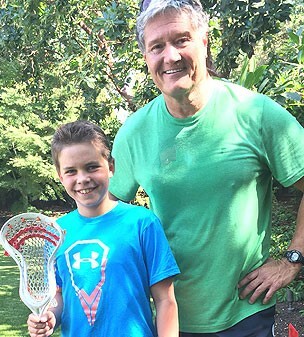 Both won their national championships after he taught the team speed technique and fast-fiber training methods for soccer athletes in only a few short weeks of training. Need results? You are at the right place. Rates for Phil Campbell's COMBINES PREP, Baseball Showcase, or his individual Speed Technique Training at the are: One athlete $500. Three to five athletes = $400 each at Riekes Center, Menlo Park CA or your bay area location. Team discounts. Your team, or small group of athletes can sponsor Coach Campbell to come to your location anywhere in the US.
. Parents are always welcomed and encouraged to attend sessions. Money back guarantee. You have nothing to lose except a few tenths on the stop watch. We're so confident that you'll discover new speed skills the very first time you see this video, we'll offer this guarantee; if you don't get faster from new speed techniques like the Combine Start, the Speed Burst Acceleration Technique (that occurs three times in the 40) after seeing this video the very first time, send the video back and we'll give you a full refund for the retail purchase price. This offer applies only to videos purchased on this Website. $400 each at Riekes Center, Menlo Park, CA or your bay area location. Money back guarantee! 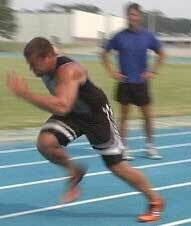 It's simple, if you don't improve speed for your sport & you aren't 100% satisfied, payment will be refunded. 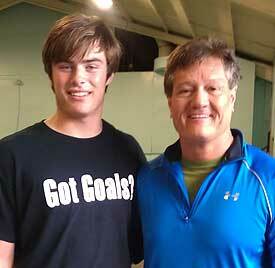 "The individual speed & strength training really helped me prepare for football and track. I set goals early during the winter to increase my speed, strength, endurance & flexibility. 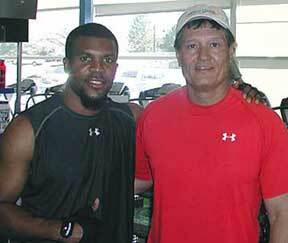 Coach Campbell, your speed training sessions gave me the techniques and the understanding of how to use them to accomplish my goals. I'm truly thankful." "Everyone is driving in the fast lane in the NFL, where the dominant factor at every position - and in every matchup - is speed, speed and more speed." 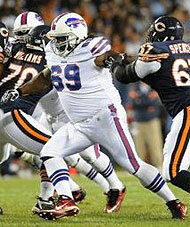 Play in the NFL has reached amazing - yes, ludicrous - speeds, and it is changing the game, position by position." Josh Liles. SIGNED with a top-rated SEC University.